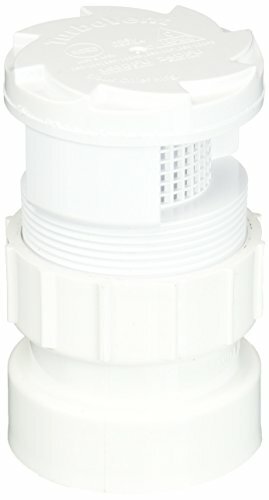 Sioux chief 250 series turbo vent air admittance valves shall be installed in either branch or stack applications as vent terminal for secondary venting within the Plumbing system. Valve shall incorporate an actuating device which spins upon activation to keep the elastomeric sealing surface clean and free of debris. During drainage, actuating device shall raise a designed distance under negative line pressure to allow optimal air flow into the dev. system. Valve shall provide a positive seal at 0 psi and under any positive line pressure to prevent sewer gasses from entering the living space. If you have any questions about this product by Soux Chief, contact us by completing and submitting the form below. If you are looking for a specif part number, please include it with your message.